WordPress is famous with it’s 5 minutes installation. To install a WordPress blog take less than 5 minutes and very simple. Before you install a WordPress blog you need a hosting server and a domain. Domain is your website address and hosting server is a space where you install your WordPress blog. You can buy your preferred domain from Godaddy, they are a big player for domain hosting and have been a long time in this business. And now you have to buy a hosting server account. You need to really pay attention when choosing a hosting company. Read my previous article tips to choose the web hosting. I recommend HawkHost, as i’m using their service for this blog. And their support are good. After you got your own domain and hosting account. 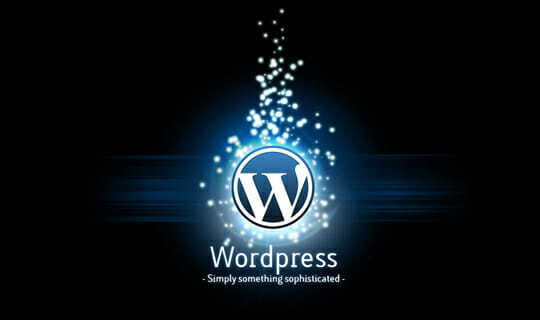 Now we continue to install your WordPress blog. Before you begin please think what will your blog talk about. Internet marketer called it a niche. My suggestion is find the niche you like the most. So you will write the content with passion and update it everyday. To install a WordPress blog is really easy. If your hosting have fantastico then it would be easier. But i would like to do it manual installation. And i will show you how. Click here to download WordPress from their site. There are many ways to upload the WordPress files. I suggest you to upload it using FTP with FTP client such as FileZilla. I am assuming that your hosting have cPanel. So you can upload the zip file and later we can extract it through cPanel. Now open your cPanel account and choose File Manager. You will find the zip file there. Extract it to public_html folder or to any subfolder if you want to install it under subfolder. Still in cPanel choose MySQL Databases. Create database and database user. And give the database user privilege to the new database. Now type your domain url in your address bar where you want to install your WordPress blog. You will see the WordPress installation wizard page. And it will ask your database user and password. Give the database name, database host (usually localhost), database username and password. Then click next. Now you need to fill your site title, email, username and password. and uncheck “Allow my site to appear in search engine…”. Because your WordPress blog still new and it will consider as low quality website by Google. Later we will fix this. Voila! Now you have a WordPress blog. Now your WordPress blog is installed. Next step is doing configuration. I will write that in the next article.